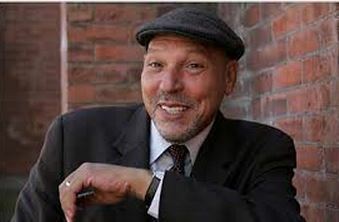 Don’t miss the superb American Masters doc on the late playwright August Wilson tonight on PBS at 9pm! It’s one of their best ever, and they are always good, and usually better than good. But this one really lives up to the Masters title. And I knew August. And saw him constantly in my days up at the Yale Rep when I was filming my TV show “The Stephen Holt Show” which in those days had the sub-heading “Onstage, America!” because we traveled at the time to Regional Theaters all over the country. And still do. I always ran into August backstage in the Green Room of the Yale Repertory Theater, and he was always smiling. The happiest, widest smiles, with dark eyes that danced. He seemed in those moments one of the happiest men I’ve ever met. And why shouldn’t he have been? His plays were being done, one right after the other under the direction of the legendary director Lloyd Williams, who was also the artistic director of the Yale Rep and Dean of the Yale School of Drama at that time. I never saw him in less than an upbeat moment. 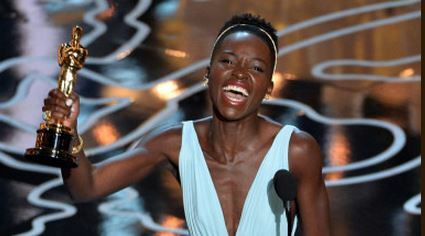 And when he was first pointed out to me, that THAT indeed was the great African-American playwright, I couldn’t believe it, because he didn’t look black at all, and also he looked like a journalist or a producer. This great documentary American Masters — August Wilson: The Ground on Which I Stand — is premiering nationwide tonight, this Friday, February 20 at 9 p.m. on PBS (check local listings) in honor of the 70th anniversary of Wilson’s birth, 10th anniversary of his death and Black History Month, and available on DVD February 24 from PBS Distribution. The scenes from Wilson’s 100 year cycle of American plays, one for each decade are marvelously well represented here by all parties. 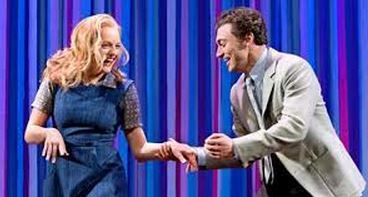 I’d seen most of them, eight of the ten to be exact either on Broadway or at the Yale Rep when they were on their way to Broadway. And I was very, very fortunate to have the late Lloyd Richards as my acting teacher one summer at the Univeristy of Rhode Island, so I felt particularly effected seeing him live again through his work and discovery of August, his great protegee, and this doc reveals for the first time, I think, just why this great creative team ruptured. This high school drop out wrote many, many great plays in a life that was ended by cancer, just like my friend David Carr, in his 50’s and too soon, too soon.